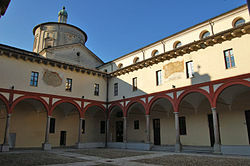 The Province o Lodi (Italian: Provincia di Lodi) is a province in the Lombardy region o Italy. Its caipital is the ceety o Lodi. The municipality less populous is Maccastorna, o anerlie 64 fowk.